The perfect add-on to your Adventurer’s Pack. 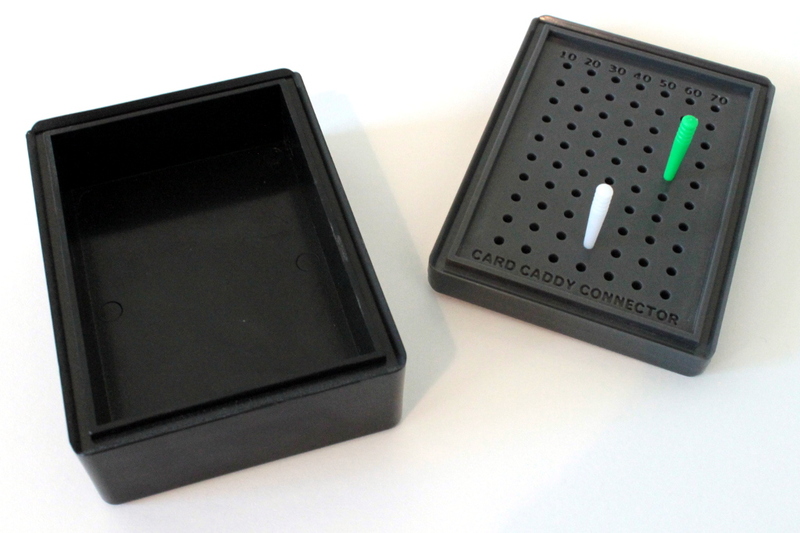 Includes one Card Caddy Cache storage box and a Card Caddy Connector attachment and score-keeping device. Taking your game on the go is even easier! 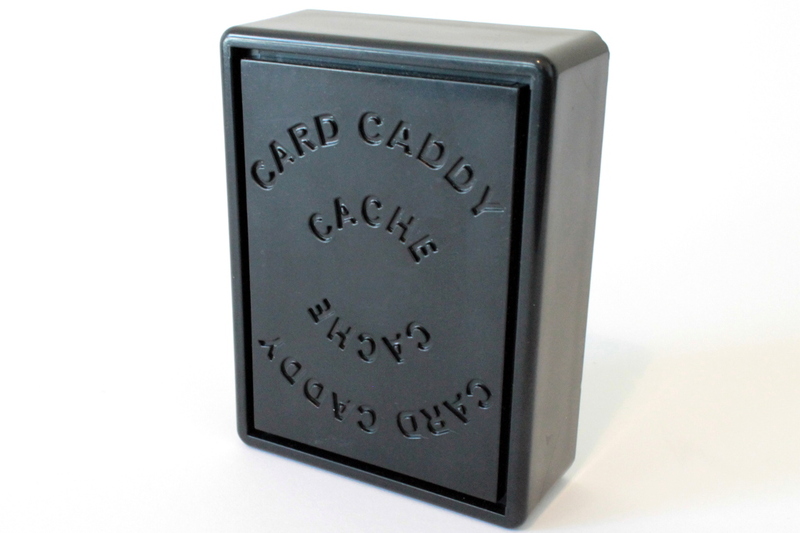 Cache snaps to the Card Caddy included in the Adventurer’s Pack. 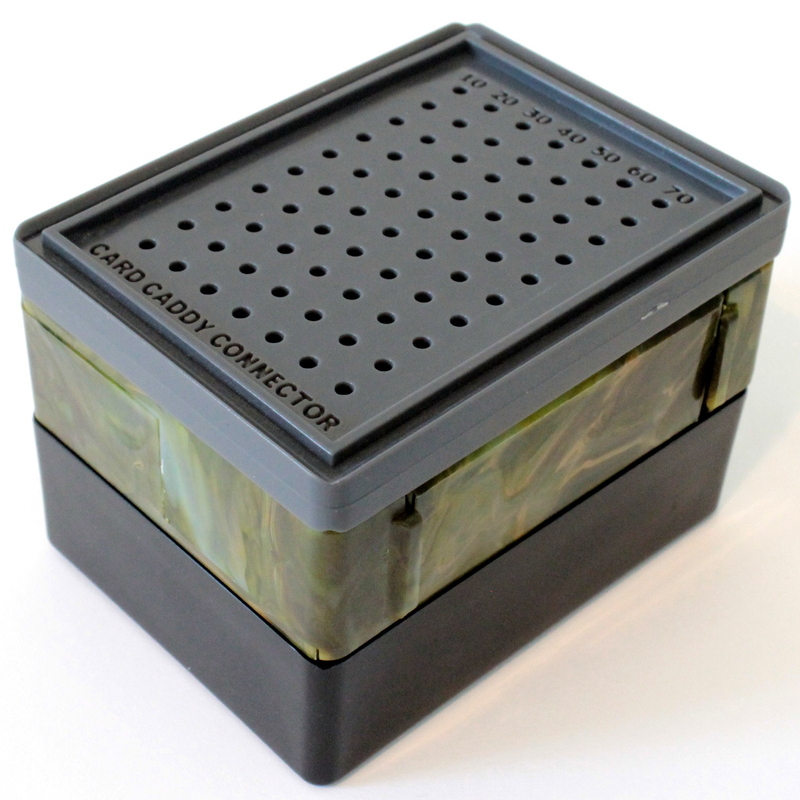 Allows you to store small items like chips, tokens, dice, golf pencils, note paper, etc. 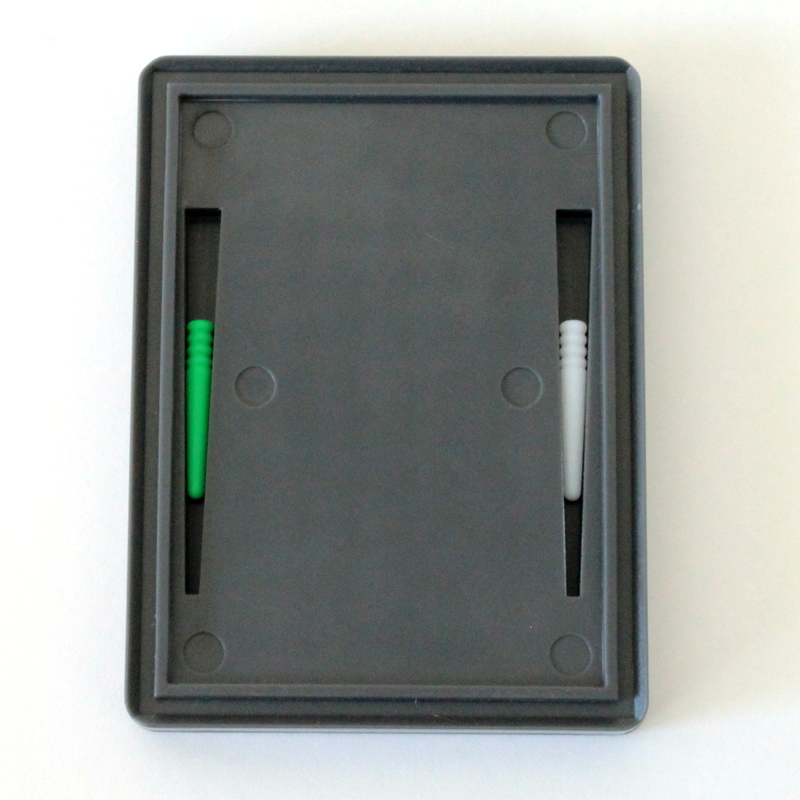 Connector also snaps to the Card Caddy. 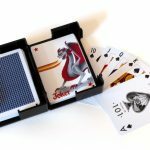 Stick multiple Adventurer’s Packs together to make a huge, portable tower of card-gaming awesomeness. 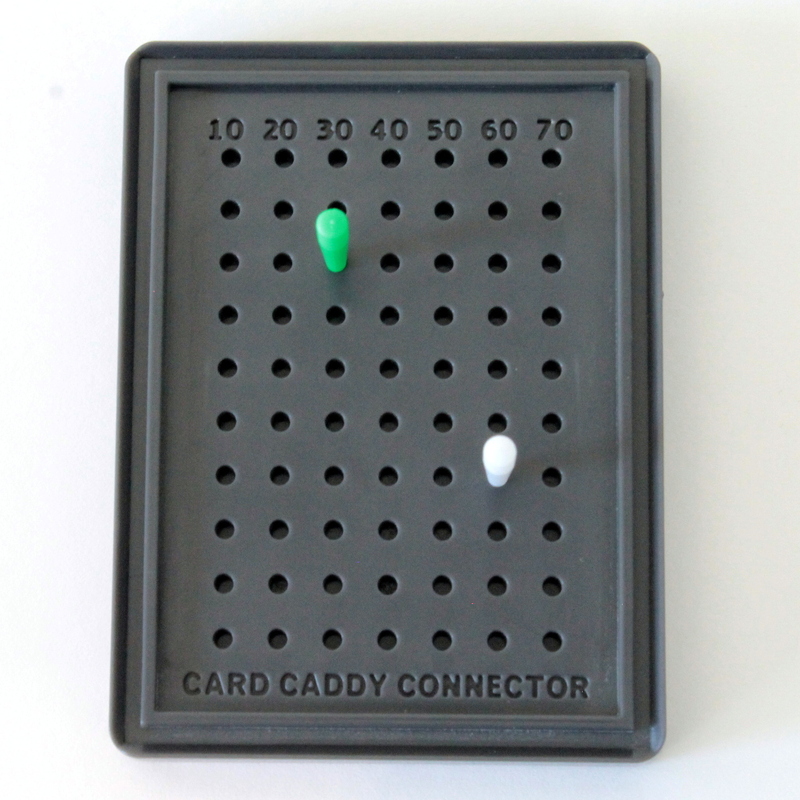 Keep score on the Connector using the two included pegs. Allows for two-player scores up to 70 each (or more if you’re okay with a little bit of math). Pegs slide securely into storage slots on back when not in use. Playing cards and Card Caddy sold separately. Cache features 3½”× 2½” × ⅞” (63 × 90 × 23 mm) internal volume. Card Caddy™ is a trademark of Narrows Hill, LLC.